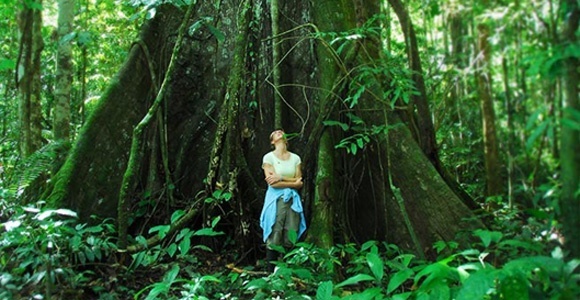 Go beyond eco-tourism with a transformative travel immersion to the Amazon Rainforest. In 1995, a call issued forth from the heart of the natural world was heard thousands of miles away by a small group of people in the modern world. 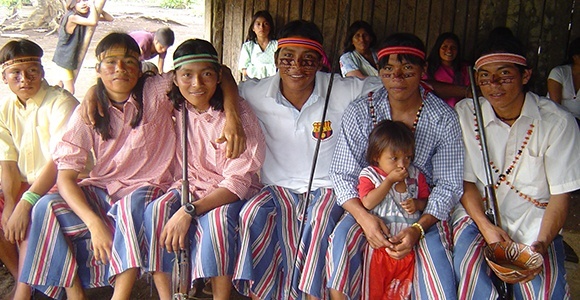 That summer, in a remote village in the rainforest, these two worlds came together, and the Pachamama Alliance was born. 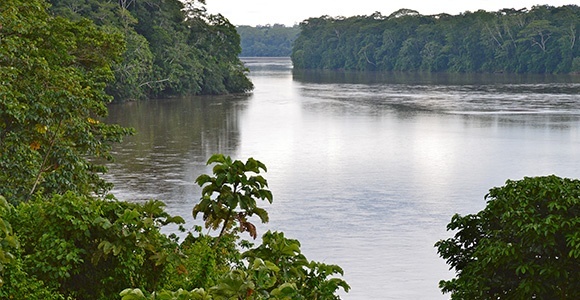 Since then, we have been in partnership with the indigenous peoples of the Amazon basin of the Ecuadorian Amazon, enabling a profound and unique connection between two worlds. Our indigenous partners have invited us to visit and learn from them so that we may carry their wisdom and message home and share their dream of a thriving, just, and sustainable world. 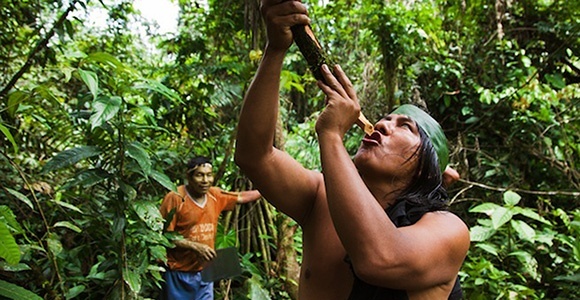 Join the Pachamama Alliance on a life-changing journey to the Sacred Headwaters of the Amazon rainforest in Ecuador. Meet your fellow journeyers in the highlands of Ecuador and prepare to venture into the unknown. In the next 24 hours, we will descend through the Avenue of the Volcanoes and traverse through the cloud forest and Pastaza River Canyon. It is here that we will prepare to fly into the heart of the natural world. Where we are heading cannot be reached by road or boat, so we will take to the sky for a breathtaking plane ride with views of lush, virgin rainforest as far as the eye can see. Breathe deeply—the air in this region is more oxygenated than any you’ve ever breathed before. Welcome to the lungs of the planet. As we descend into this pristine paradise, meet its keepers—an ancient lineage untouched by conquest, their warrior spirit still intact. These are not warriors of destruction, but the fiercely loving protectors of the forest and its inhabitants. Experience firsthand a people who are immersed in nature, connected to something deeper than what the rational mind can perceive. We are invited to participate firsthand in the daily traditions and sacred ceremonies that have maintained these cultures for thousands of years. This may vary from ceramic making, blowgun practice, or work in the gardens, to waterfall purifications and ancient shamanic ceremonies. 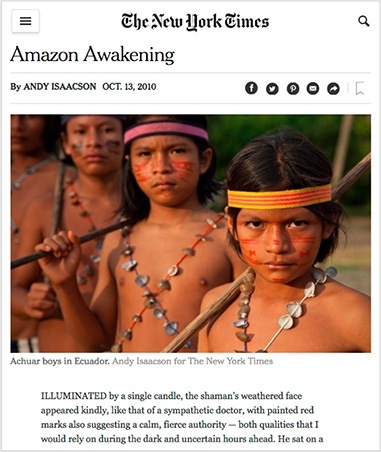 The indigenous people of this region are masters at reading dreams, and offer us pre-dawn dream sharing rituals where the spiritual and physical, night and day, magically converge. Learn from the native people how they live interdependently with the forest and work with its plants for food, medicine, and shelter. When the spirit of nature is maintained in its healthy, thriving state, the Achuar people say that Arutam—the power of the forest—is alive. 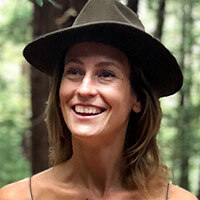 To be in the presence of a forest whose spirit is intact is a uniquely visceral and enlivening experience. A place exotic and far from the familiar begins to surprisingly feel like home. An ancient memory of nature-based living, stored in our very DNA, becomes awakened. You begin to feel, remember, and experience life through every sense. Your deepest self emerges, the one you’ve been waiting and yearning for. Every journey is unique. Each group has its own special bond. 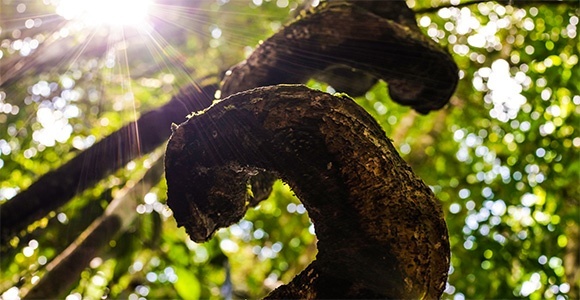 There is a deep sense of magic and wonder in the rainforest that reveals itself in mysterious ways to journeyers. 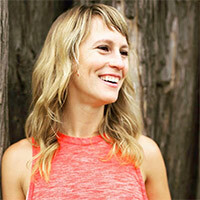 We invite you to join us on this one-of-a-kind immersion into the heart of the world. 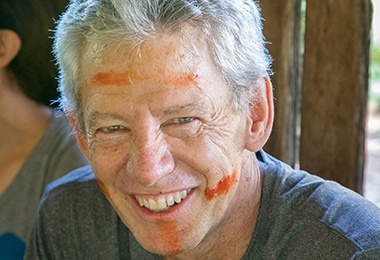 Facilitated by the Pachamama Journeys Team, David Tucker and Rebecca Rogers, who have led hundreds of travelers on transformational journeys to the Amazon rainforest. The experience is thoughtfully curated, making your time as seamless as possible—freeing you to focus fully on the transformative experience. Join us one one of these unforgettable immersions. 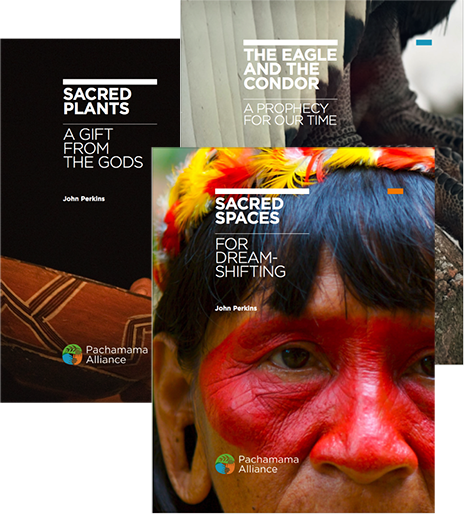 Pachamama Alliance Co-founder and New York Times best-selling author John Perkins, shares the most important and relevant indigenous wisdom he has gathered over the past 40 years. Having spent decades studying with shamans around the world, John has come to understand how indigenous wisdom can be the key to creating a thriving and fulfilling future for the planet. Download these three mini-ebooks today and step into the heart of the forest with us. When you travel with us on this experiential learning adventure, you’ll benefit from 20 years of familiarity with the land, culture, traditions and people. Our itineraries are thoughtfully organized and skillfully curated, making your time in Ecuador as seamless as possible and freeing you to focus fully on the experience. Your experience with Pachamama will begin and end in Quito, Ecuador and participants make their own flight arrangements. The dates of your journey include travel dates both into and out of Quito. While it is fine to arrive and depart on the specific travel days, we do recommend that you arrive one or more days early to rest and acclimate to the altitude of the Andes. It also ensures that possible travel delays do not hold you up from joining the group on time. 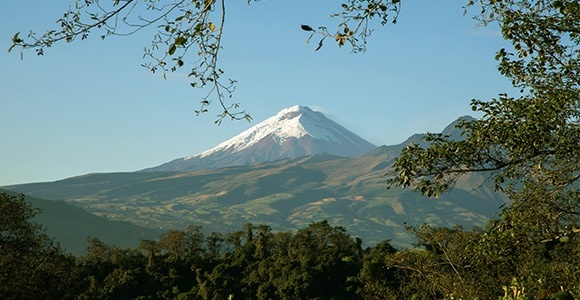 After the journey is complete, some participants find it helpful to have a day or two to integrate the experience in Ecuador before heading back home. Our trips have included travelers from age 8 to over 80. Family, children and teens are welcome and in our experience have made great additions to groups, adding a multi-generational touch and perspective. While the Center for Disease Control recommends certain vaccinations, neither Ecuador nor Pachamama Journeys require any vaccinations to enter the country. Some of our participants choose to pursue the full spectrum of vaccinations, while others choose not to have any. Please consult with your personal physician or local travel clinic for advice on your specific needs. Since malaria is found in the rainforest region where we travel, we require that each participant take an antimalarial preventative medicine. Please consult with your personal physician for advice on your specific needs. While gift giving is a generous and common practice throughout the world, we are trying to minimize our impact on the cultures and territories we visit. And due to the shared nature of indigenous society, giving gifts to individuals can disrupt the balance of the community. Certain unplanned acts of generosity that emerge organically on the journey are natural, but please do not burden yourself or our indigenous partners with lots of ‘stuff’. The biggest gift for them is your presence and partnership. What is the weather like in the highlands and rainforest? Will I need a visa to enter Ecuador? For North American or European travelers, a visa is not necessary to enter Ecuador, though you will need a passport that is current for six months following your date of entry into Ecuador (VERY IMPORTANT). If it is not, you must renew it before departure or otherwise be denied entry. For travelers from other countries, please check with you embassy. We trust that people are called to this experience and go when the time is right. 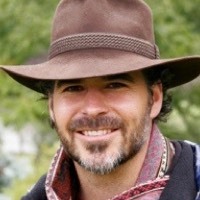 If you would like support in looking to see if this is the right experience and timing, please contact Pachamama Journeys Director, David Tucker, who has been leading groups and overseeing this program for nearly two decades. He is very familiar with the unique opportunity of the journey and the potential it has to offer. Our Journeys Program Manager, Rebecca Rogers, will support you as you prepare logistically for this experience and is available to offer any assistance. Most importantly, trust your heart. Pachamama Journeys reserves the right to cancel a scheduled journey at any time. In the event that your journey is cancelled, your full payment will be refunded to you. We're here to answer your questions and support your Journey. 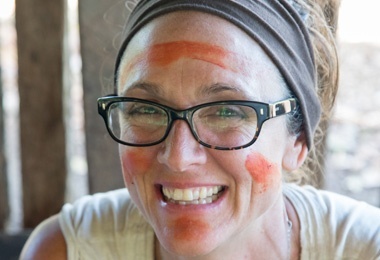 Rebecca markets and facilitates traveler’s participation in Pachamama’s journeys to the rainforest of Ecuador and supporting each person in realizing their personal goals for the journey.